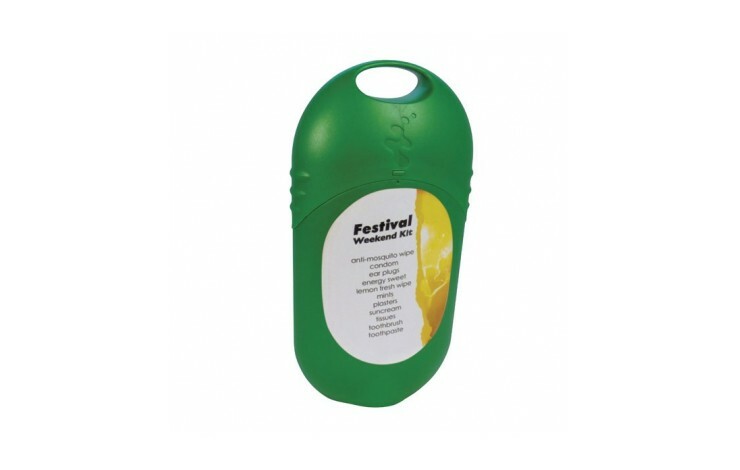 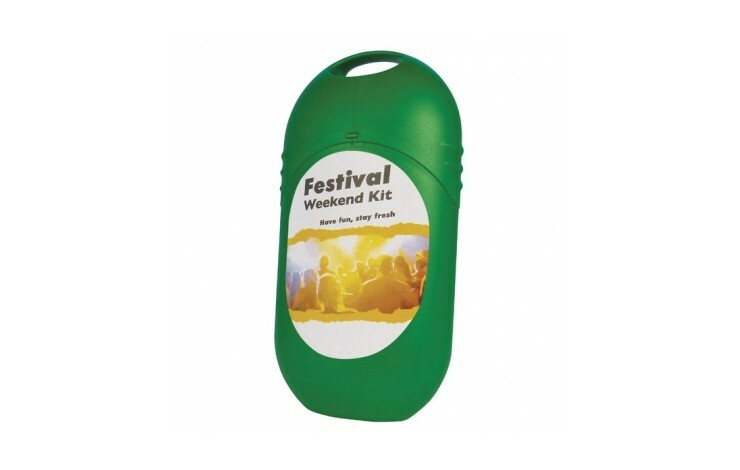 The perfect little extra to take to any festival to make sure you stay fresh and clean. 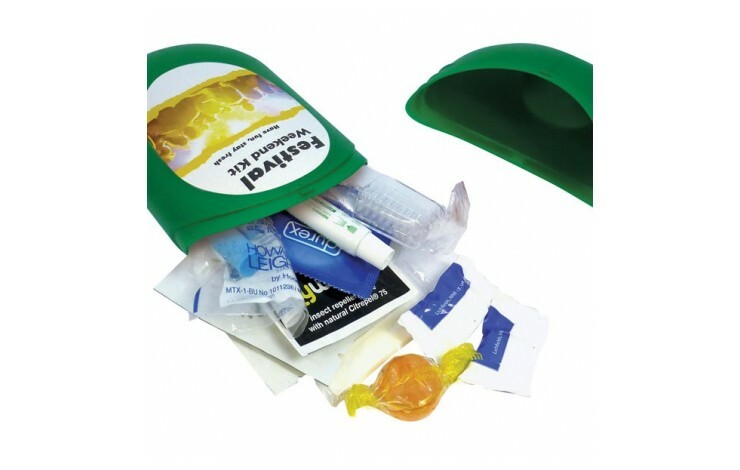 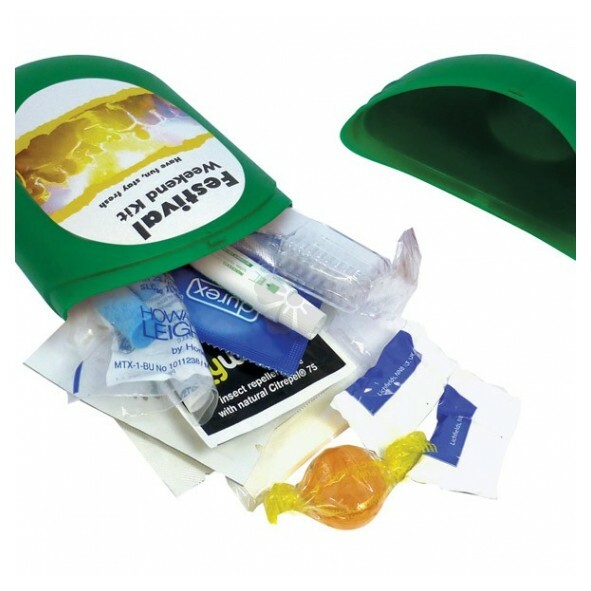 Our custom printed Festival Essentials Kit comes with an energy sweet, lemon fresh wipes, mosquito wipe, condom, earplugs, 2 plasters, 2 mints, a toothbrush and tooth paste, sunscreen and tissues. 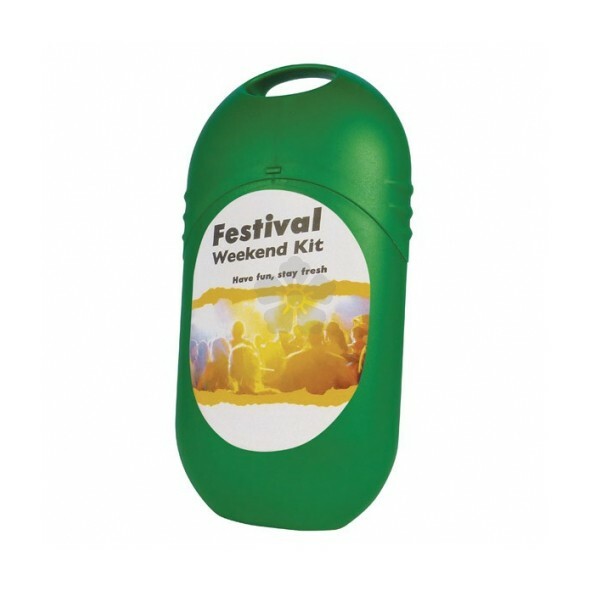 Just so you're ready, whatever the occasion. 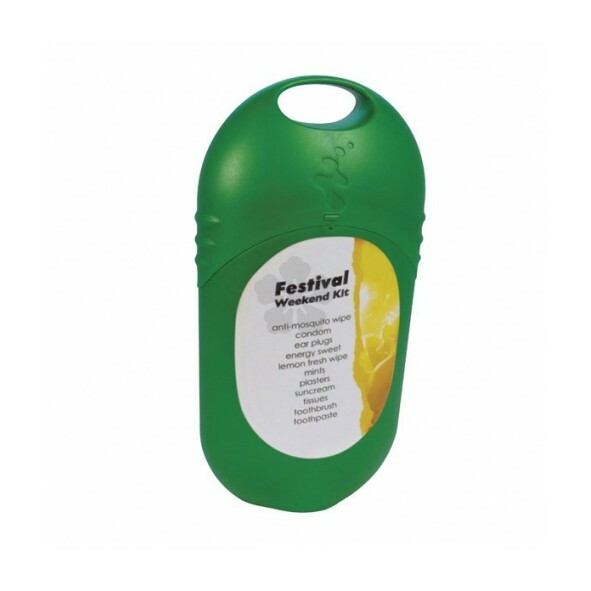 Prices as standard for a full colour print to the labels on the front and back.